Computing is part and parcel of all industries today. Different firms have their use different applications not only to reduce costs and improve quality of items, but also to speed up manufacture and sales of their goods or services. Without software engineers, all this would not be possible. They are the brains that propel continuity diversity in their various areas of specialization. 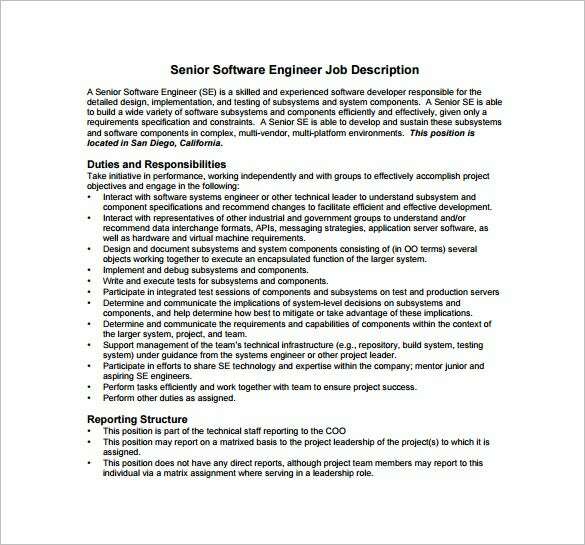 You may like Civil Engineer Job Description Templates. These engineers never run out of jobs. Because software design is not a onetime procedure, the creators’ services will be useful throughout the time of its use. For instance, they will have to keep updating security and compatibility features to match existing technology. 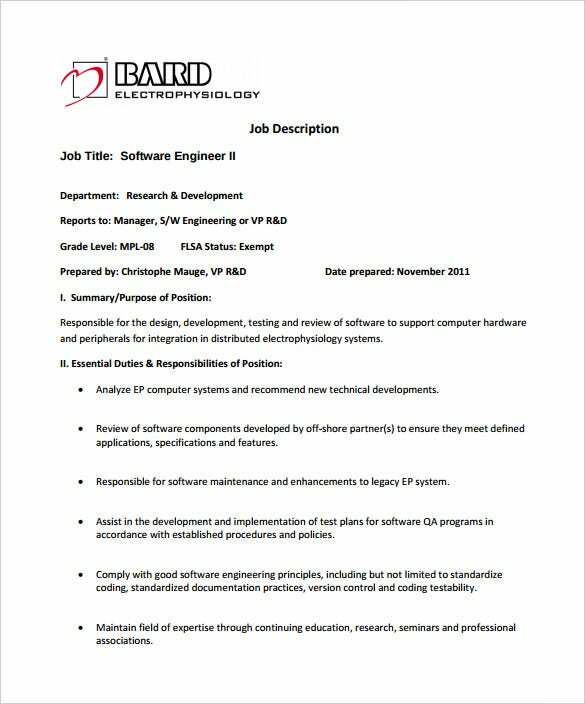 You may also like Job Description Templates. 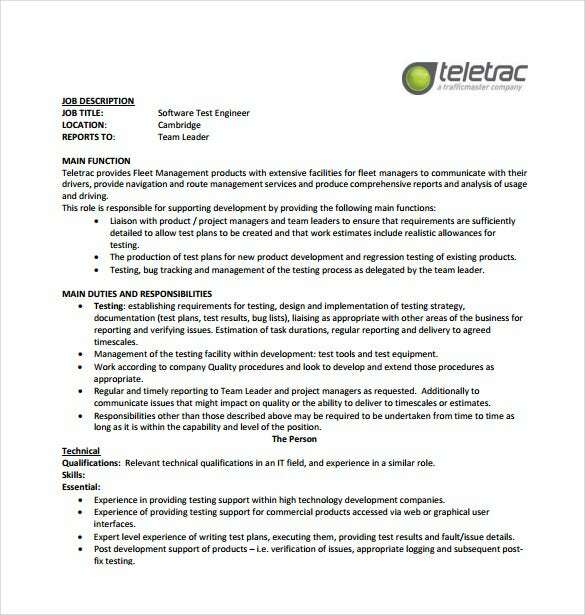 teletrac.com | If you are looking for engineers who are interested in software testing and other related fields, these template is for you. These clearly states the qualifications needed for the job and also explains the company’s field of work clearly. 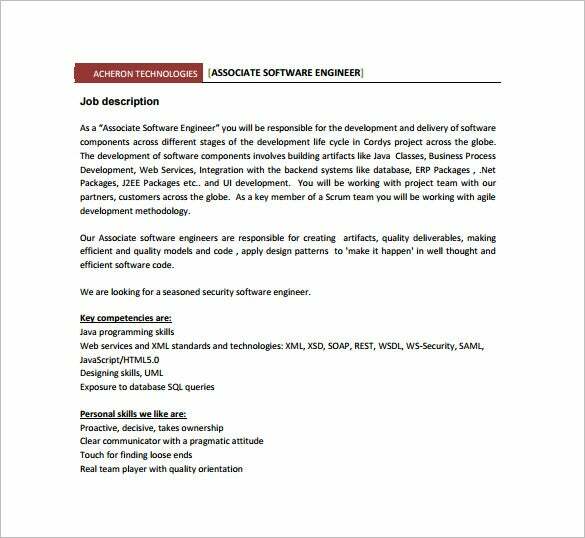 chamberlaingroup.com | These template is for companies that are looking for software design engineers who are competent enough to write codes as well as study business requirements and current or future trends in software development. These template gives a detailed idea of job requirements and will be very useful for companies looking for overall competent individuals. 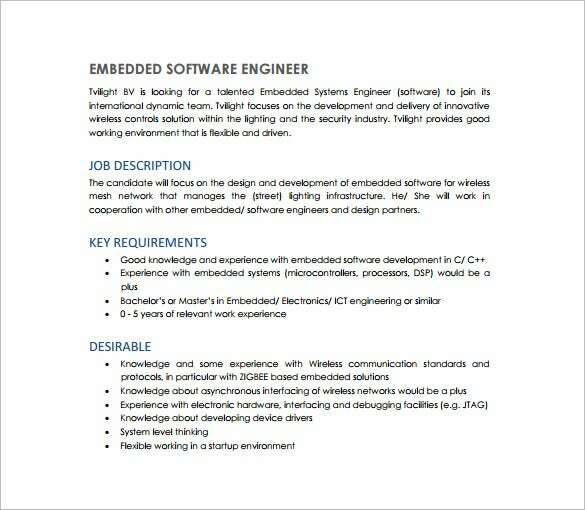 bu.edu | These template is suitable to companies looking for individuals who will be responsible for not only design and testing of softwares, but also for development and maintenance of softwares created by the company. These template very precisely explains the expectations of the company. 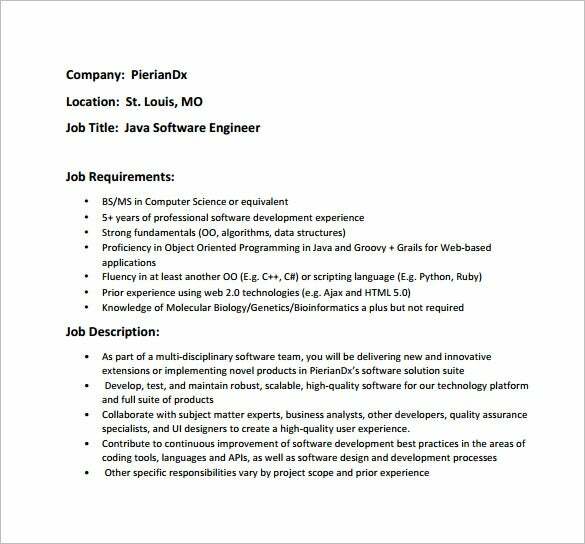 pieriandx.com | These template serves the need of those looking for more experienced individuals with proficiency in not only software development, but also in various scripting languages. 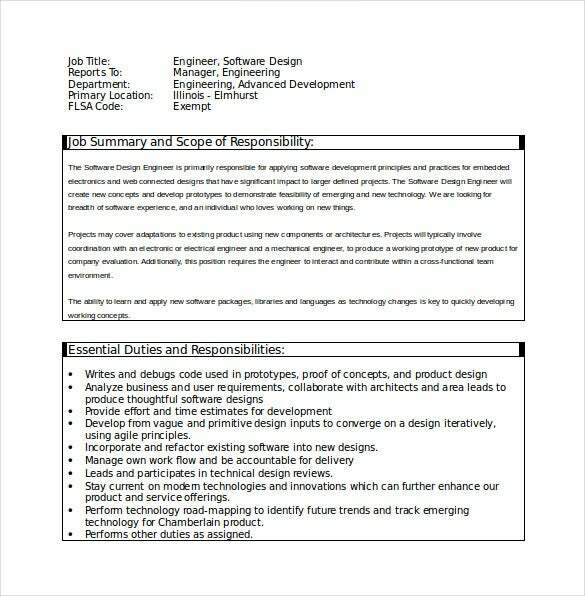 These template clearly states all the qualifications needed for these job and effectively discusses the requirements for these position. 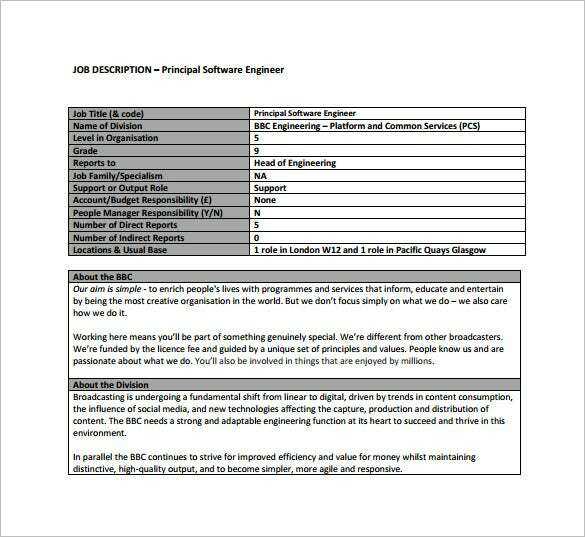 > What are the Uses and Purpose of Software Engineer Job Description Templates? 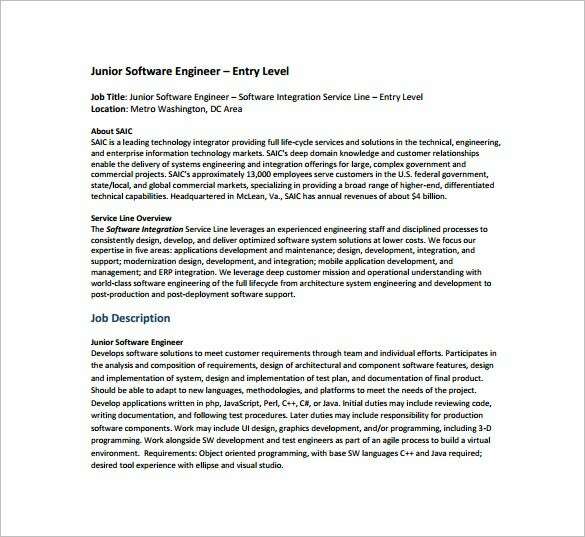 > Who are the Target Audience for Software Engineer Job Description Templates? 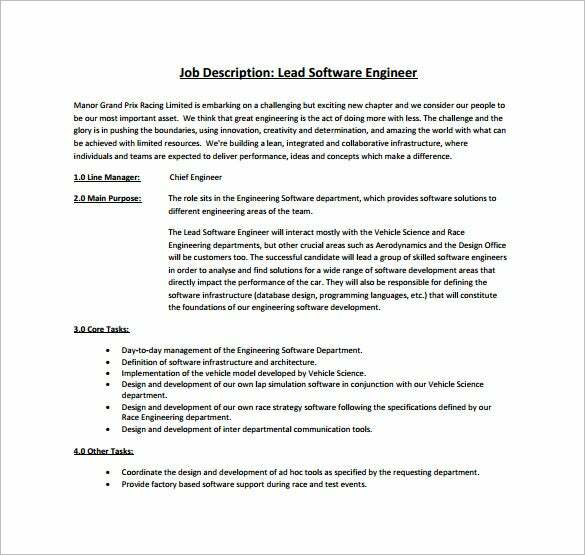 Target audiences for these templates are companies that are looking for software engineers, those who want to save their time and effort by using these free templates that require minimal edits. 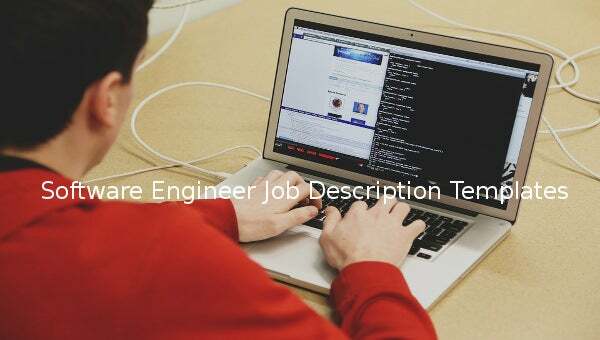 These templates are also for those who has no idea about the content of a job description or for those who get writer’s block while writing a description. If you use these templates, there is no need to waste your precious time in contemplating what to write and what not to write. Just choose a template and edit it according to your needs. 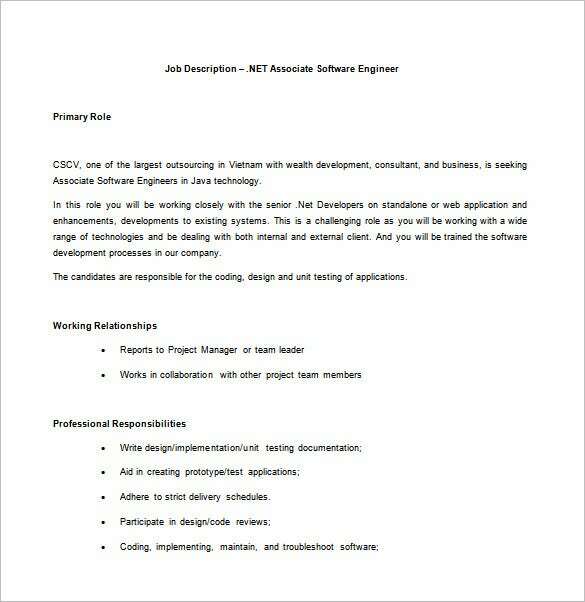 > What are the Benefits of Software Engineer Job Description Templates? If you use these templates, there is no need to worry about the points to put or if anything got left out. 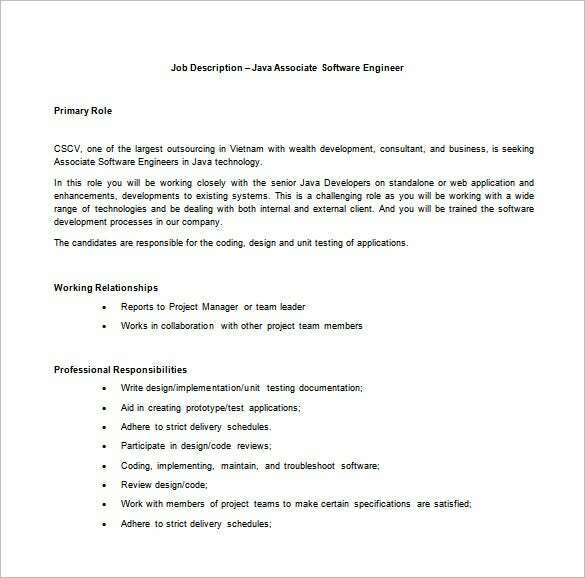 Whether you want a software design engineer or a Java software engineer, these templates will surely help you. 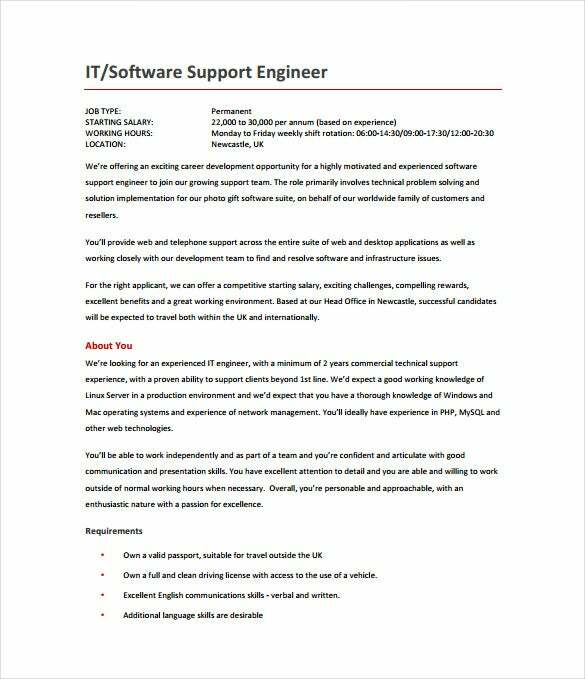 All of them are designed precisely with job descriptions and requirements in mind, so you need not to worry about leaving anything out. All the templates are made for specific purposes, so you can choose according to your need. All of these templates are free to use and can be customized. Just choose the one that meets your requirements and print it out, you have a ready job description without much effort and almost in no time. It is very easy to use and convenient in today’s fast paced life. 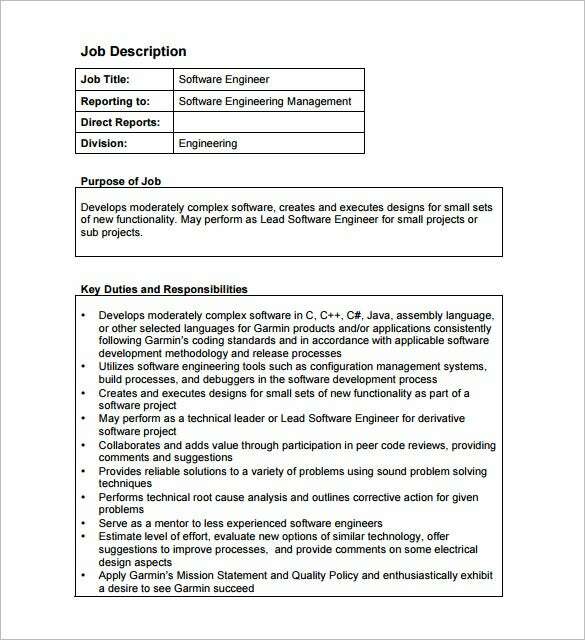 There is no need to worry about the content of a job description anymore when these free templates are available for use.